Thats my Twizzy, at his happiest cos it was summer and stinking hot. You've no idea how glad I am to be able to scrap it and get it in the album. Well that one is all about the journalling - i revisted this pub and took the photo two years ago but the story is older than time... heres the story! My new bedding, bought after Patrick to cheer me up. 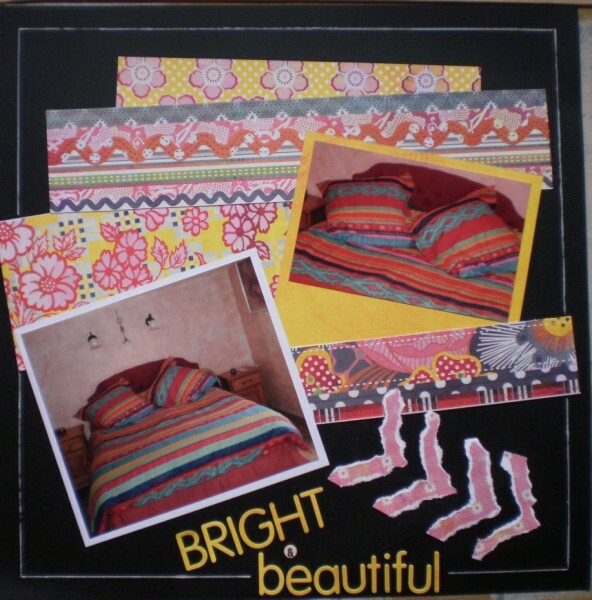 A great extravagance buying bedding becasue of course I inherited loads from Les Arbres, but I really wanted some new. 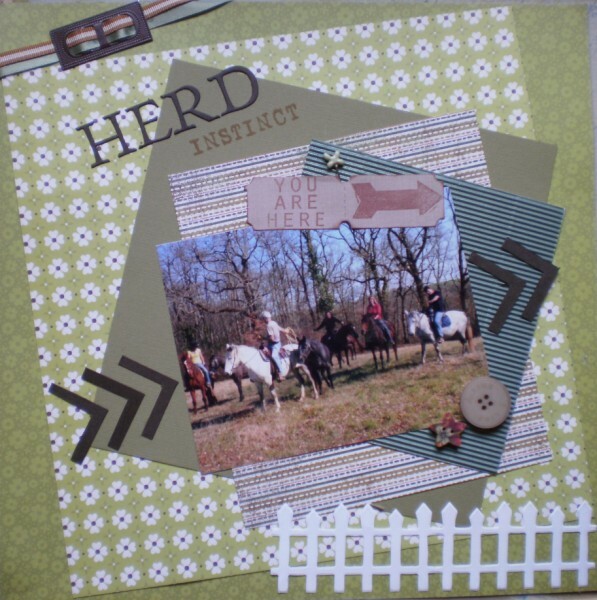 this was Susan and her herd (husband, ex husband, son etc) moving the horses from one set of fields to another. My favourite of this bunch I think. Twizzy one is great, really like the corrugated paper, and I love the shape of the pics in the second one. The Horniman...well, what can I say. 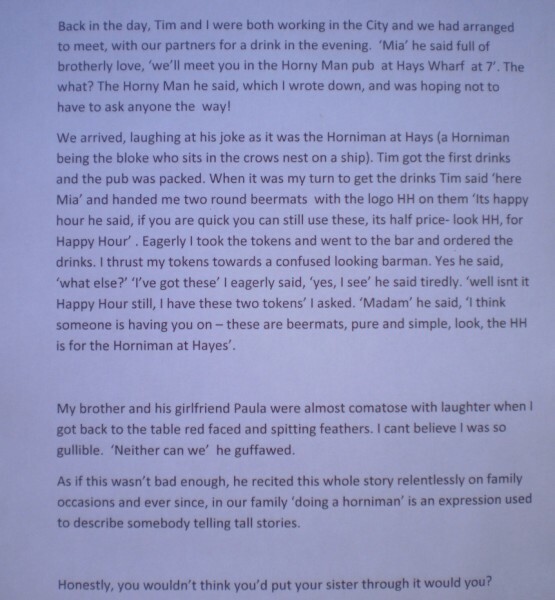 LOL, love the Horniman story!! Very pleased to see that lovely LO of Twiz too, an important step for you, yes? lol @ the Horniman tale. Yes, fab journalling on the HH one, and yes if I had a sister I really would, but then I'd expect the same of her. Love it. Liking the everyday stuff like the new duvet, and Twiz looking so relaxed, aw. 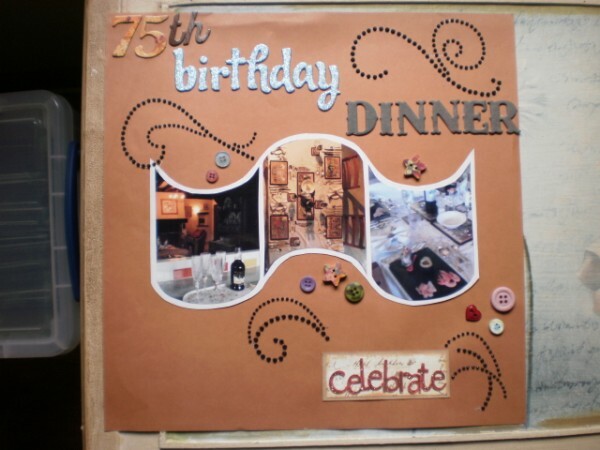 Liking the shaping of the photo strip on the 75th dinner too. Great LO's Maria and I love the brotherly tale. your bro is naughty! love the shape of the one you lifted , all are good but particularly like that one . glad you managed to scrap your twizzy. I love your horniman story, you will have to think of something to get your brother back with one day. lovely LO's. 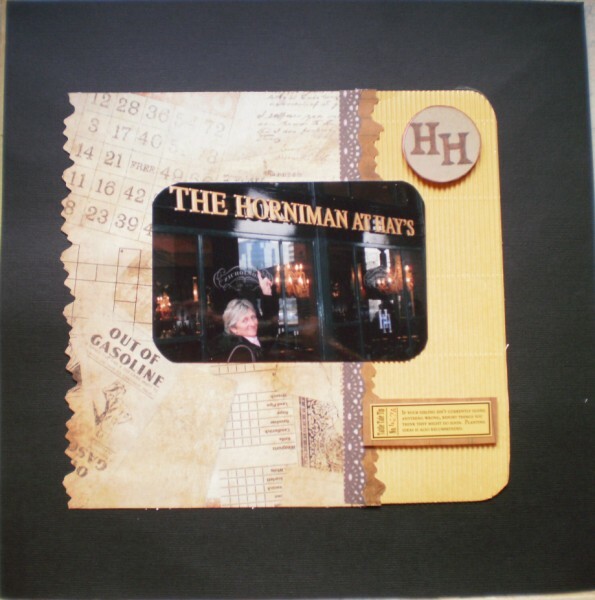 Great layouts, lol at the Horniman story!